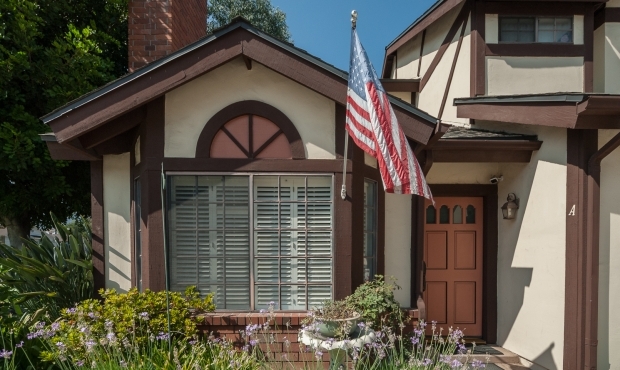 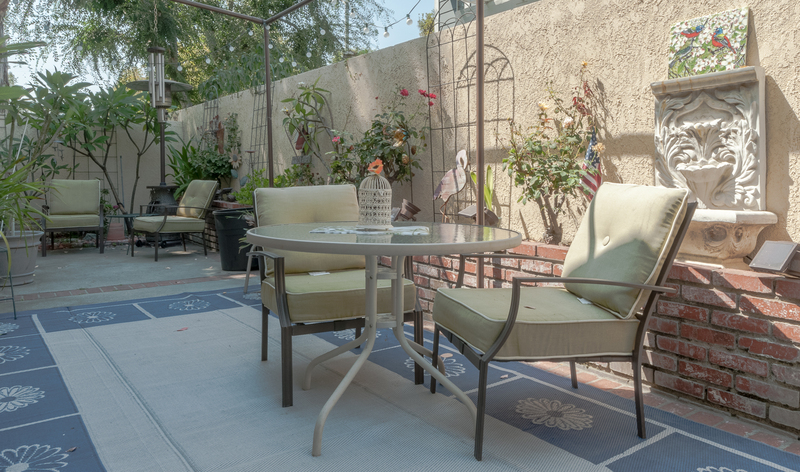 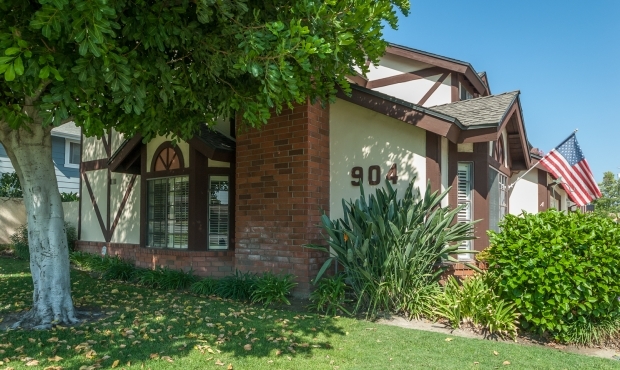 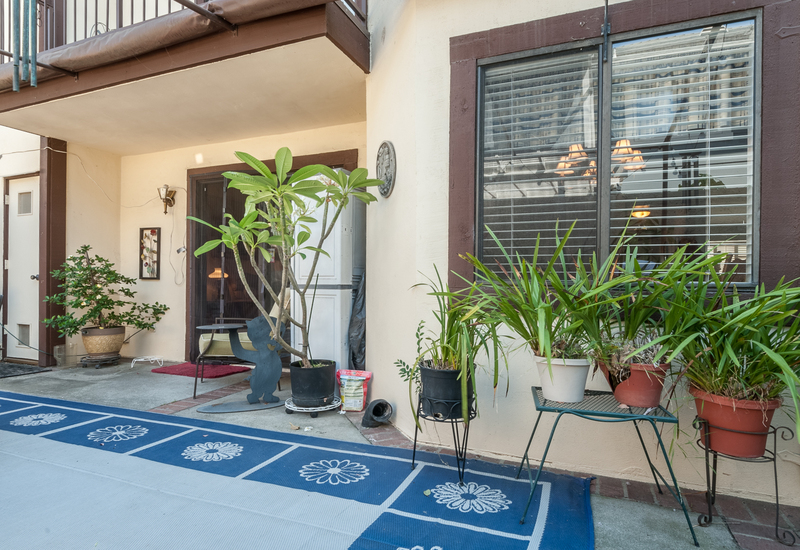 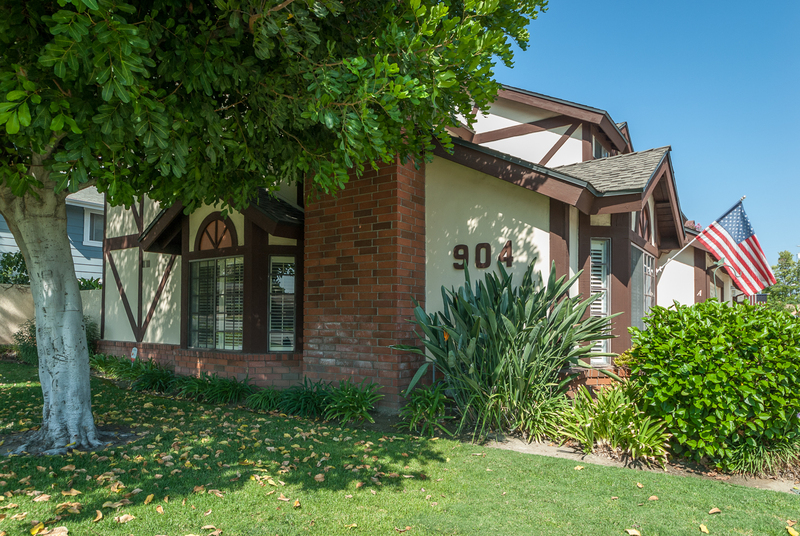 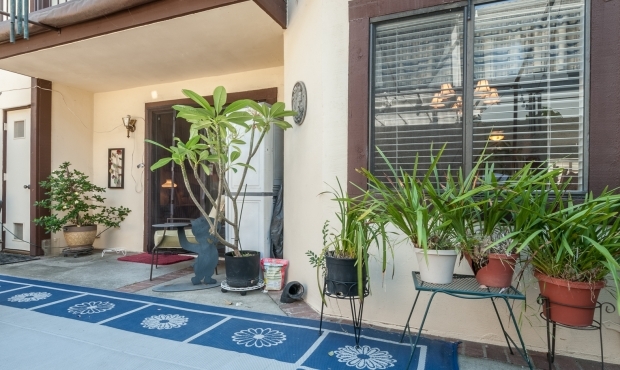 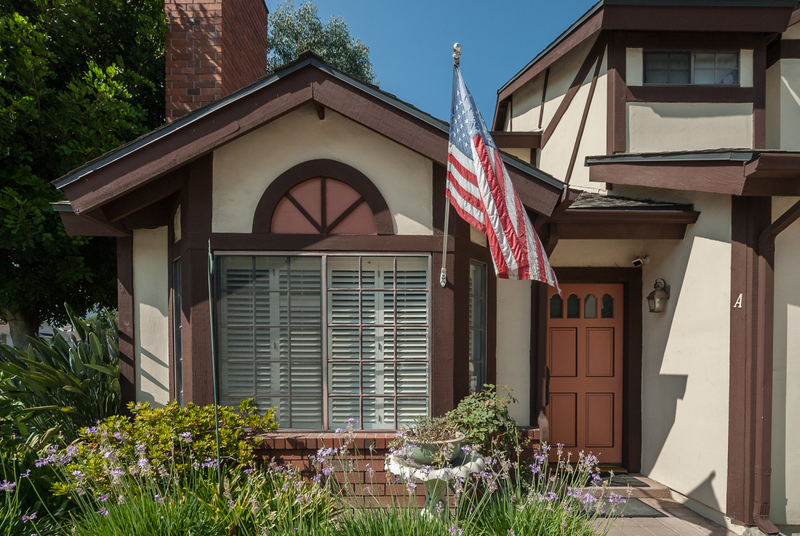 Immaculate end unit 2-story Tudor style townhouse located in North Arcadia. 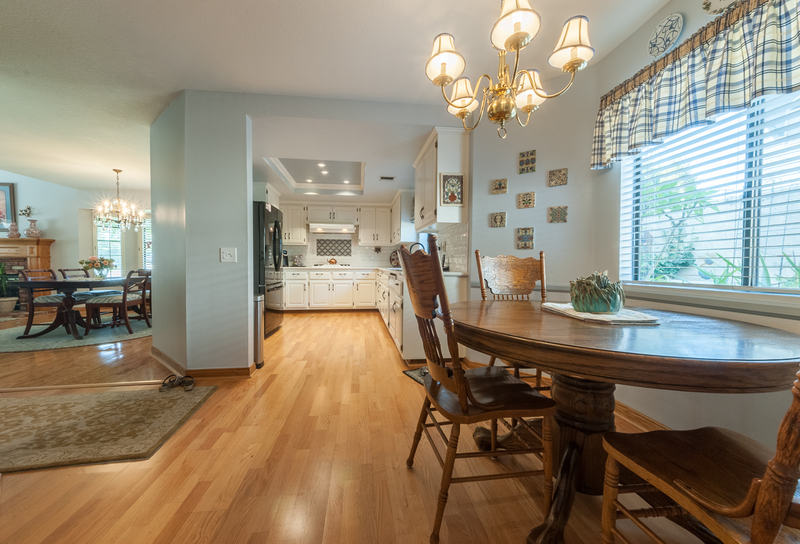 As you step into the tiled entry, the first thing you notice are the amazing quarter sawn oak floors. 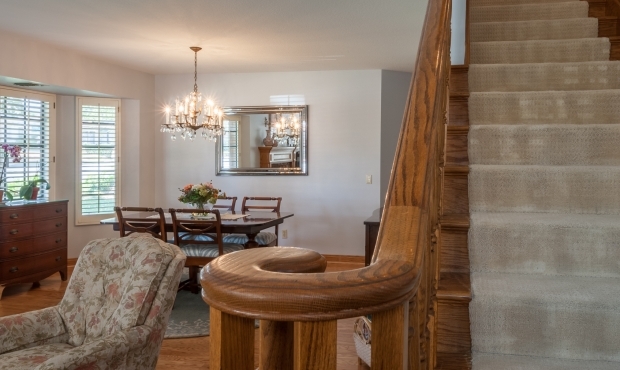 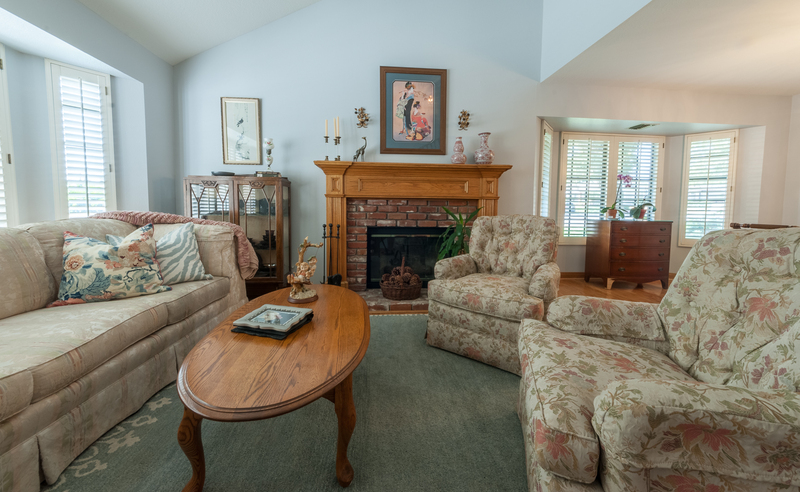 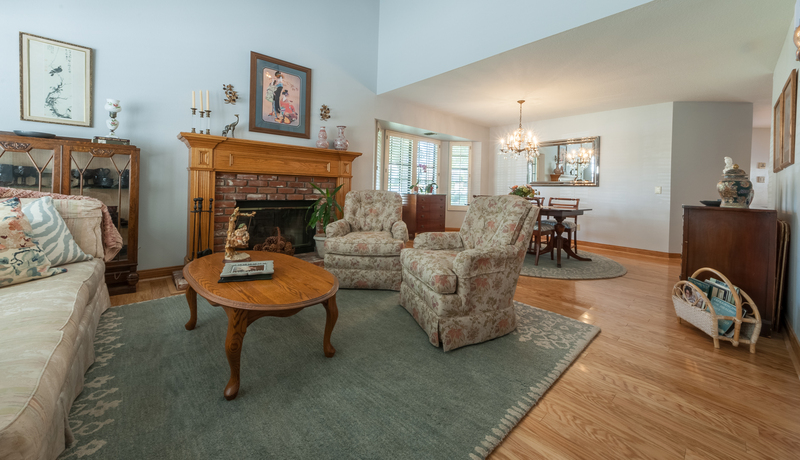 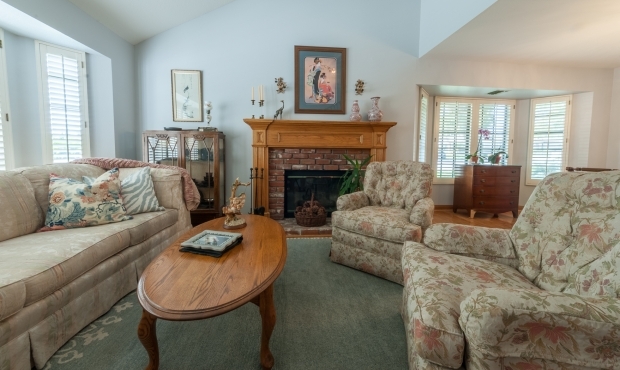 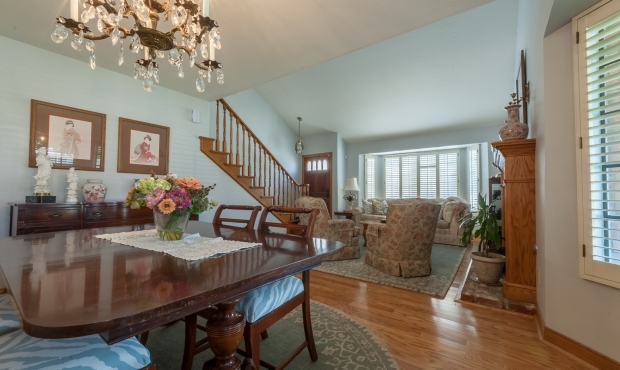 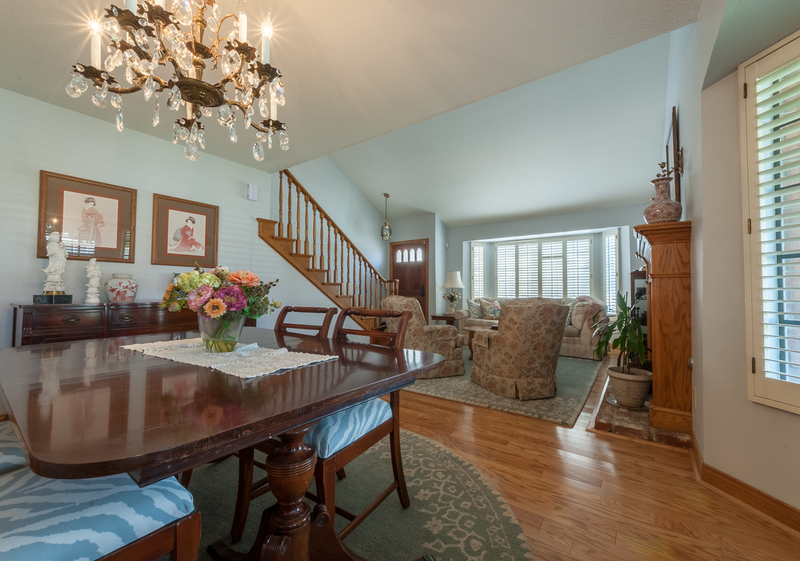 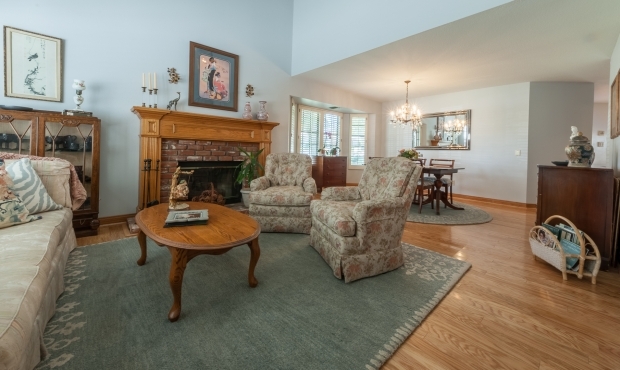 The large living room boasts vaulted ceiling, bay window, brick fireplace & formal dining area. 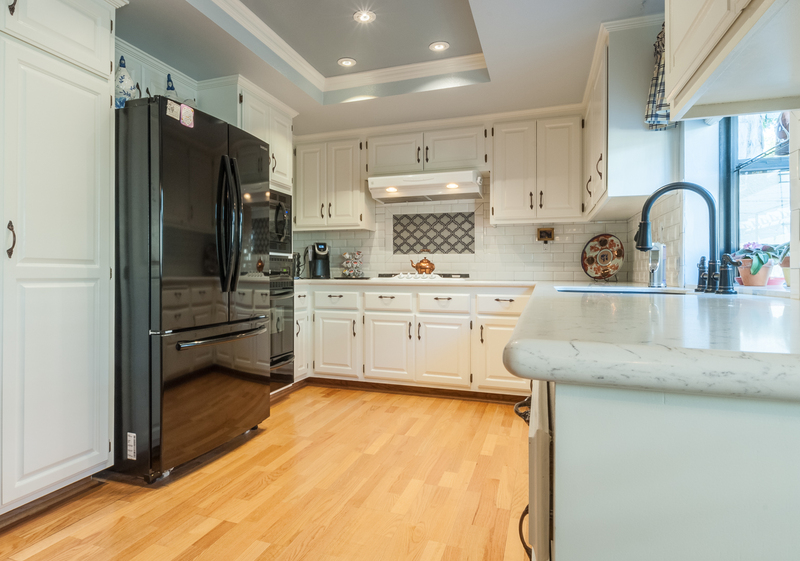 The recently remodeled spacious kitchen features Corian countertops, graphite single basin granite sink with burnished fixtures, beveled subway tile, built-in oven & microwave, newly painted cabinetry with new hardware, decorative glass tile backsplash above the 5-burner gas cooktop, garden window & tray ceiling with recessed lighting, as well as an attached breakfast area with chair rail. 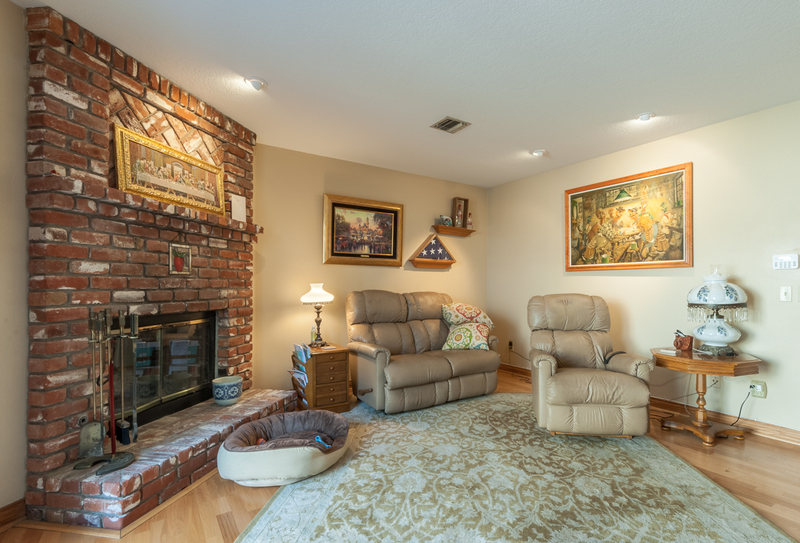 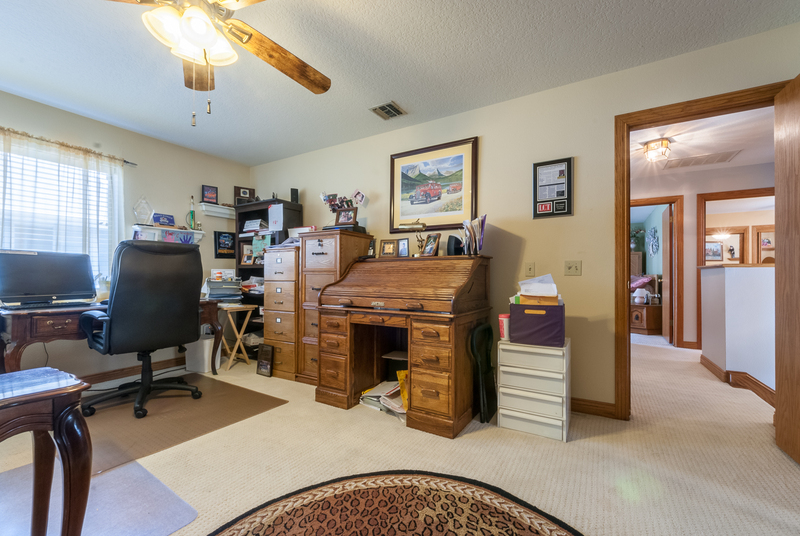 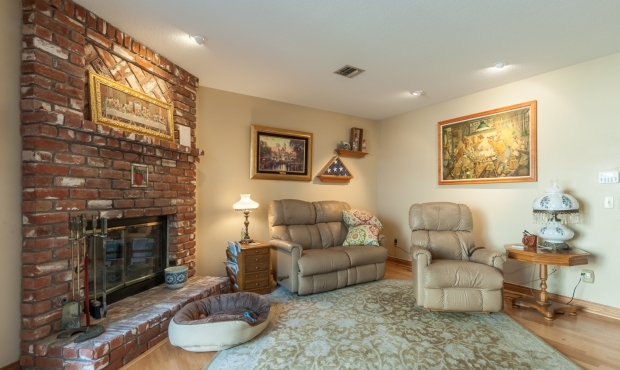 The family room has corner brick fireplace and sliding doors to an XL patio with brick planter. 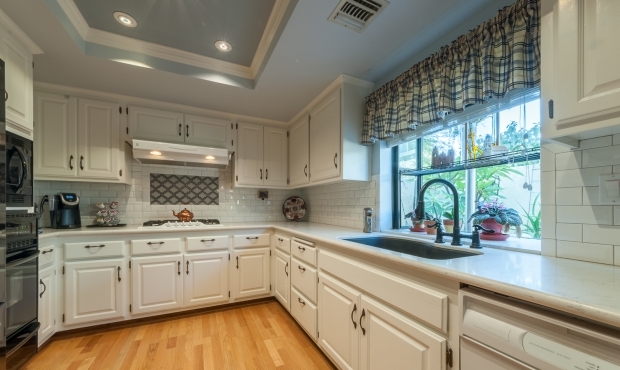 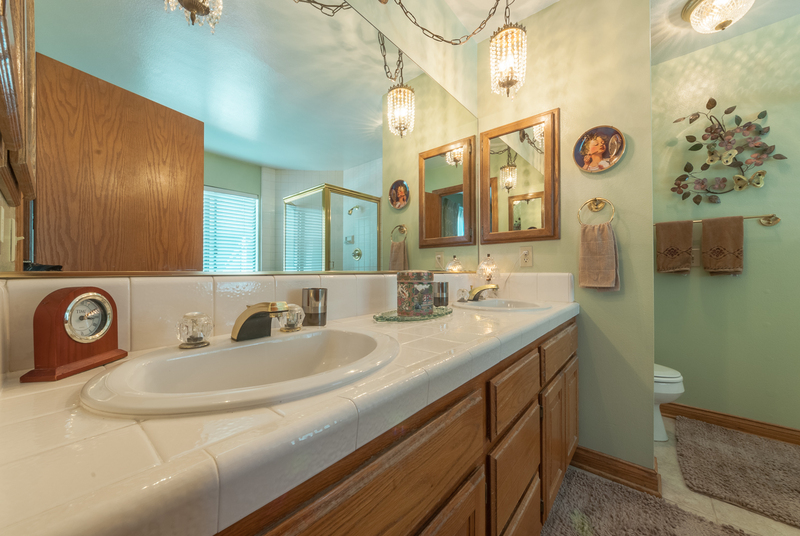 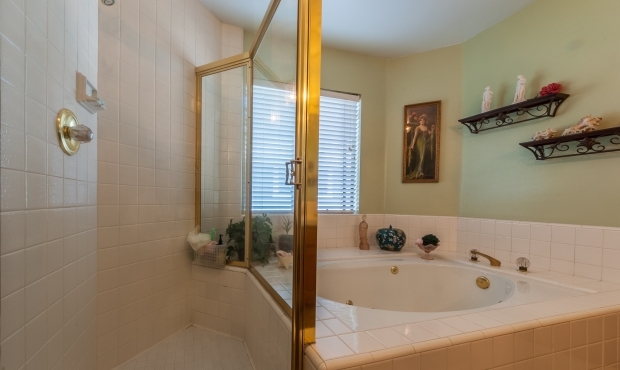 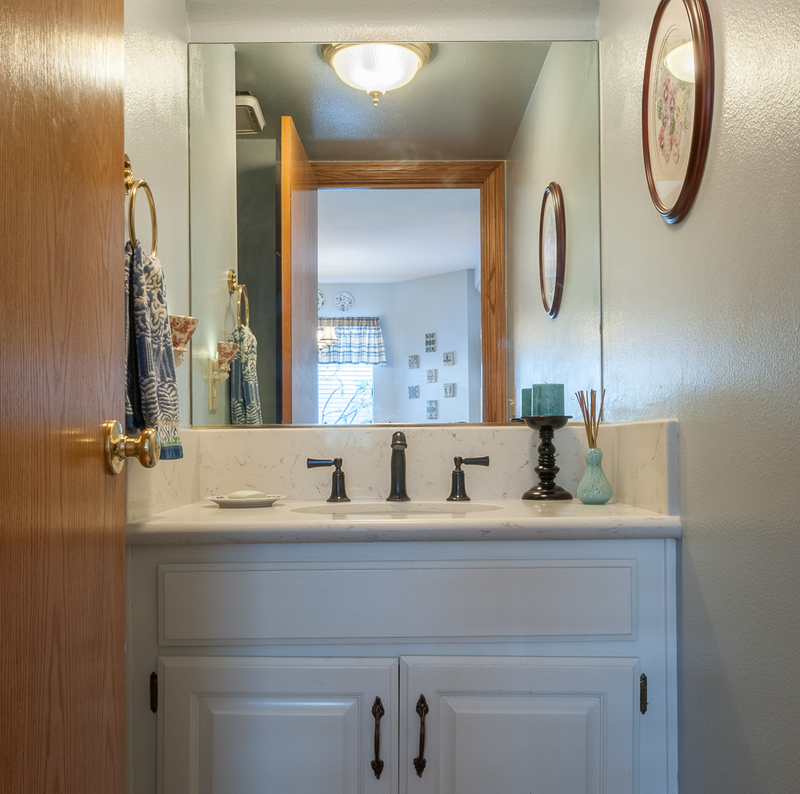 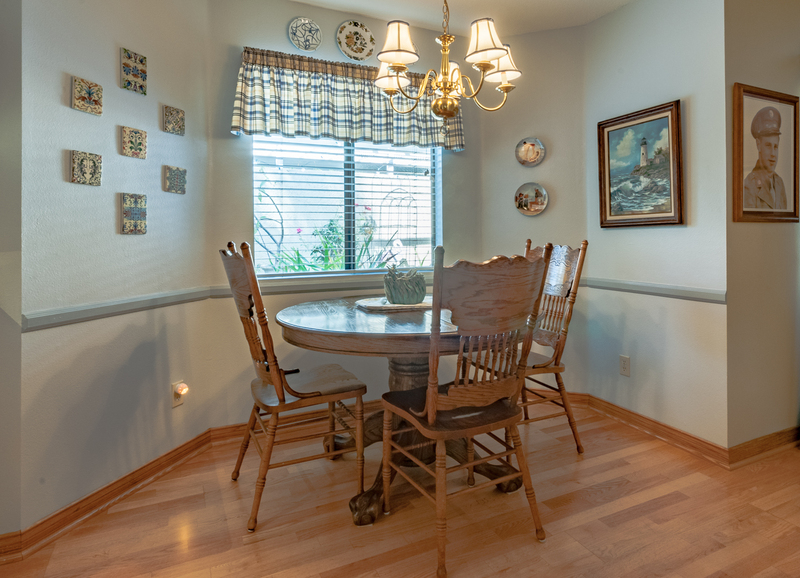 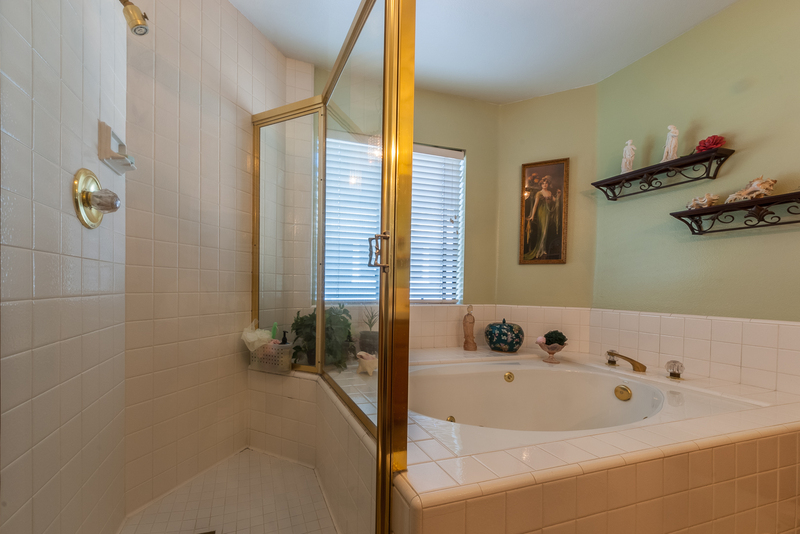 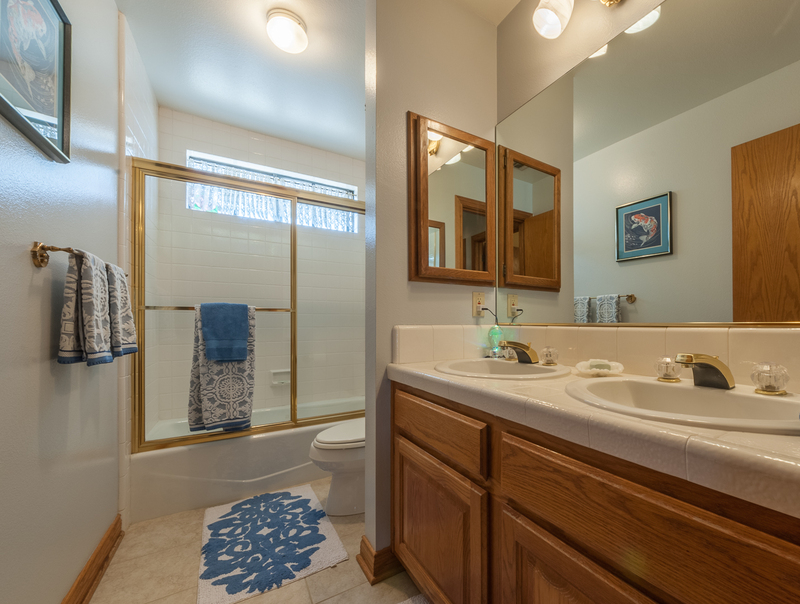 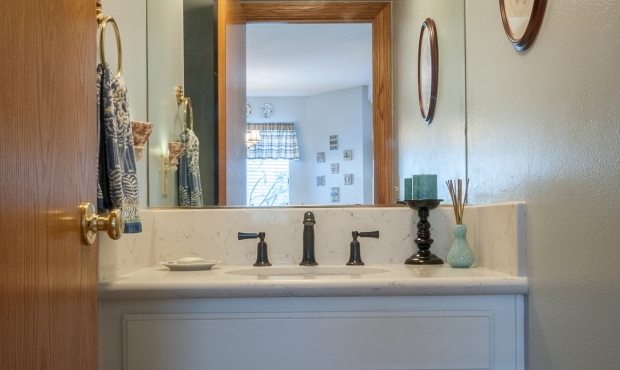 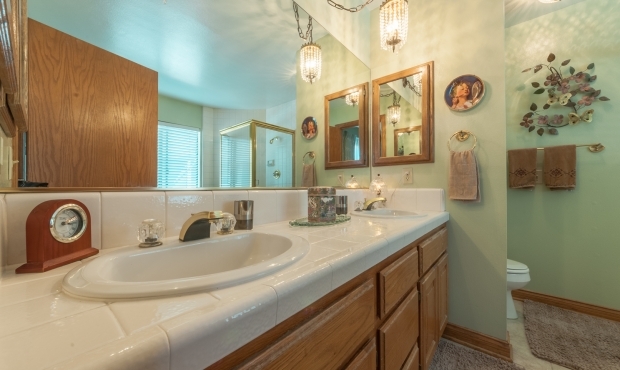 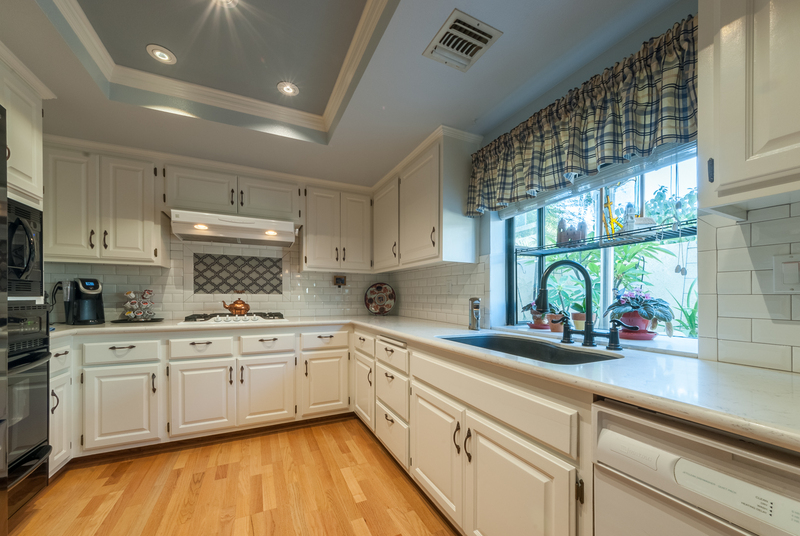 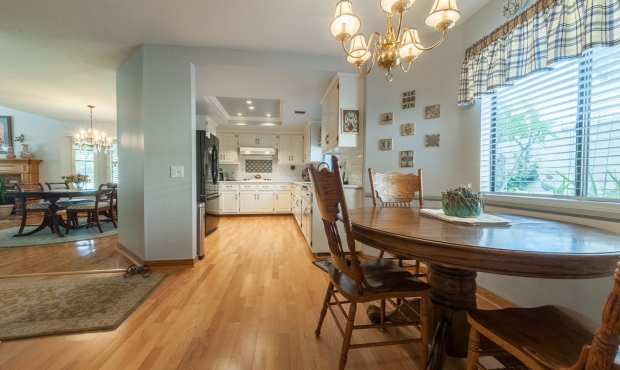 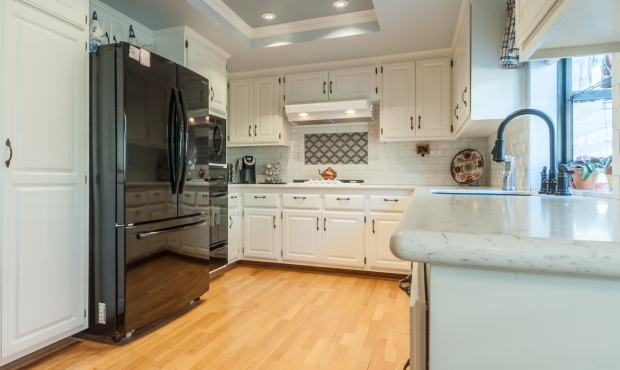 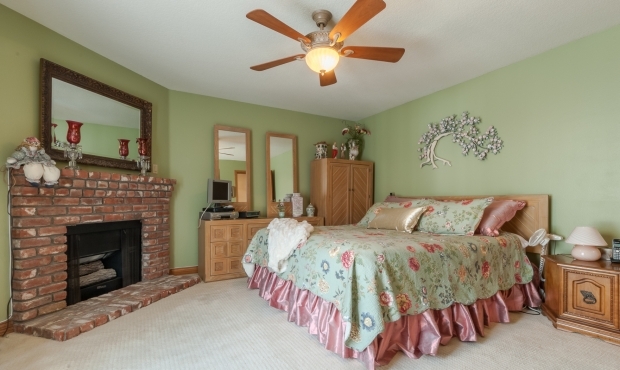 Also downstairs is a remodeled ½ bath and separate laundry room. 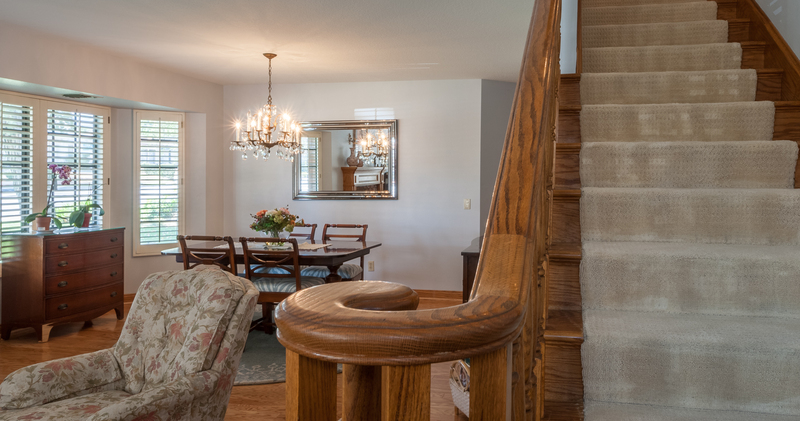 Up the staircase with oak banister and risers you’ll find a Master suite with a corner brick fireplace & hearth, decorator paint, sliding door to balcony with mountain views, and attached master bath with tile flooring, oak vanity with double sinks, jetted tub and separate shower. The two additional bedrooms feature mirrored closet doors and new paint. 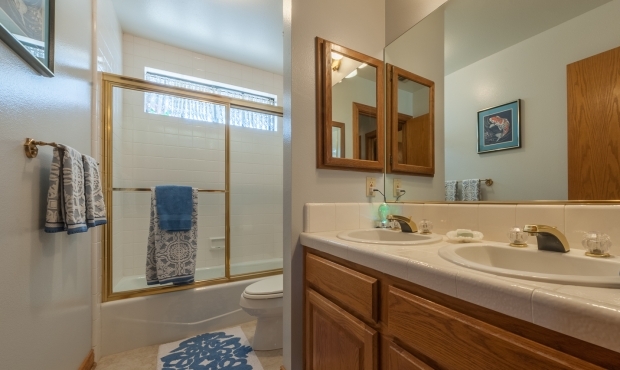 The guest bathroom has an oak vanity, double sinks and shower/tub combo. 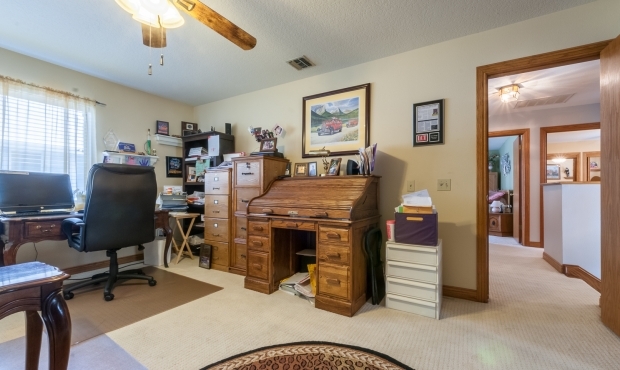 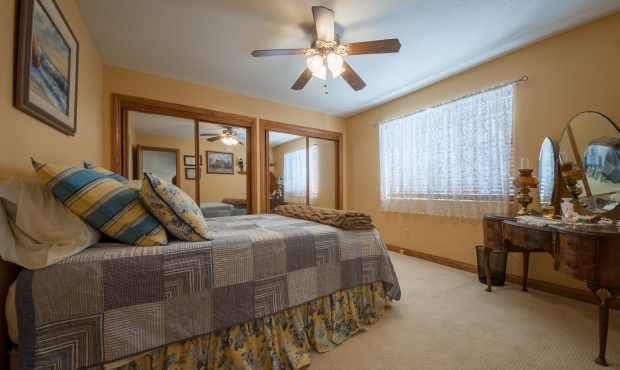 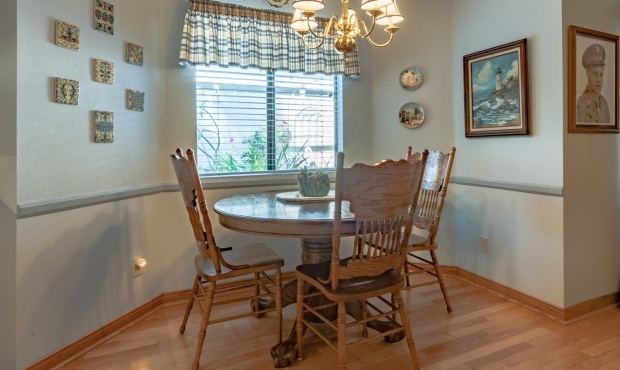 Other amenities include 2-car attached garage, central air & heat and plantation shutters.